Posted August 14, 2018 by SCS Gearbox & filed under Rock Bouncing. If you’re an adrenaline junkie who loves off-roading, there are few things more fun than taking a jeep or truck on a rock-crawling adventure. It’s so exciting to maneuver your way over a bunch of rocks while putting your vehicle to the test. Nevertheless, before you take a trip, it’s important to keep a few things in mind. Here are a few rock bouncing tips that’ll keep you and your vehicle safe. Make sure your vehicle is prepared for a rock-crawling adventure. Are you 100 percent sure that your vehicle is equipped to climb over rocks? If you’re not, you shouldn’t chance it and try to do it anyway. Your vehicle needs to be outfitted with the proper equipment to take on rocks. If it isn’t, you could do some serious damage to it and potentially even put your own safety at risk. Read up on the different ways you can modify your vehicle to prepare it for rock-crawling. Start off slow and steady at the beginning of your adventure. When you’re riding over large rocks, you shouldn’t be in any rush. If you attempt to drive too quickly, you could lose control of your vehicle and spin out. You could also make your vehicle unstable and tip over if you aren’t careful. Be as methodical as you can be when traversing over rocks. If you feel like you’re in a race at any point, slow down, take a deep breath, and then continue at a much lower speed. Bring along a spotter to help you navigate over tricky terrain. If you’re still relatively new to rock-crawling, you don’t have the experience it takes to see certain obstacles and navigate over or around them. This could lead to you being involved in an accident if you’re not careful. 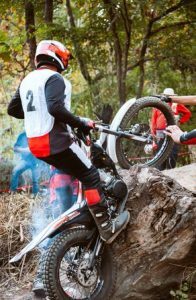 The easiest way to familiarize yourself with your surroundings is by bringing along a spotter who can help you work your way through tricky parts of your ride. The spotter can point out things you might not see and keep you and your vehicle safe. 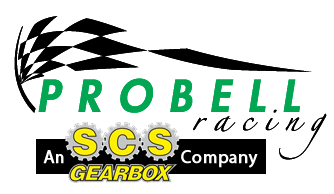 At SCS Gearbox, we can provide you with all the equipment you’ll need to becoming a rock-crawling regular. We carry a large selection of quick change gearboxes, quick change transfer cases, 3 speed transmissions, and so much more. Call us at 419-483-7278 today to order the parts you need to outfit your off-roading vehicle.